Want to try a great new author? 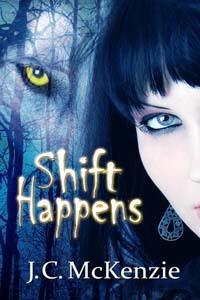 SHIFT HAPPENS by J.C. McKenzie is on sale now for 99 cents. A wonderful book full of awesome characters, let me know if you don’t fall in love with Wick or Tristan (ahhh, Tristan)….or maybe even Clint. I’m honored to be published with such a wonderful group of authors.